J&S Drilling is a leading geotechnical drilling company specialising in Land, Marine and Environmental Drilling. 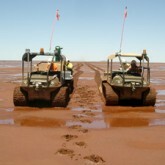 J&S Drilling is proud to be working on projects throughout Australia and overseas. Our large fleet operates on both near shore and land projects and is supported by our main office and workshop in Wattleup WA and our QLD Office in Gracemere. J&S Drilling provides all employees with the opportunity to excel through access to ongoing training via the Nationally Recognised Training framework in their chosen field. Formal training is complemented by invaluable experience working alongside our highly trained and qualified professionals. J&S Drilling employs a wide range of operational and support staff. To comply and client requirements some prerequisites may apply. Driller applicant resumes who meet the above listed pre-requisites will be held on file for positions as they become available. J&S Drilling will only contact those short listed, as positions become available. To apply for an advertised position, please see below. 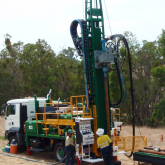 Licensed Drillers – WA & QLD : J&S Drilling has full-time and casual employment opportunities. Experienced or licensed drillers – WA & QLD are welcome to submit resumes for consideration. If you are an experienced Driller and don’t have a Drillers Licence at this stage then J&S Drilling can continue your training and support your progress towards a Drillers Licence . Experience in geotechnical/water well drilling. Pass a pre-employment medical with a drug and alcohol test. Must be able to provide copies of qualifications. Current Police clearance (within 4 weeks). Interstate water well drilling licences. Screens & Gravel pack course. Recreational Skippers Ticket/Restricted Coxswain Ticket. Drill and supervise on multiple drilling operations ensuring they are undertaken in a safe, efficient, cost effective and professional manner. Impart knowledge and leadership standards, including safety culture, personal presentation, training, following instructions and client relationships. Deliver training and support to Driller Assistants/Trainee Drillers/Drillers in the field and workshop. Project/client liaison and coordination at field level. Participation and successful completion of training and induction requirements as they arise. Communicate areas of improvement and best practice ideas to J&S Drilling Management. Compliance and duty of care in accordance with ESHMS and project safety documentation. Perform tasks and procedures in accordance with J&S Drilling SWP’s. J&S Drilling has positions available for Driller Assistants – WA & QLD. These employment opportunities are subject to client project requirements. Current scheduled work requires the immediate engagement of experienced Driller Assistants. QLD: Experienced Driller Assistants are encouraged to contact Brian Ramdhan at techforce on 08 6363 7054 or brianr@techforce.com.au to register for positions. WA: Driller Assistants are encouraged to contact Christine at IRP on 9477 7999 or christine@irp.net.au to register for positions. Must be able to provide copies of current certificates and HRWL. Must have a Tax File Number. High risk work licence (LF/CV/CN/RB/DG). Work away in regional remote localities. Able to travel by air to localities as required. Carry out Pre-Start checks on equipment. Assist the Driller in carrying out field operations. Perform daily routine tasks with minimal supervision/instruction. Perform tasks and procedures in accordance with J&S Drilling’s Standard Work Procedures. Completion of training and induction requirements.